As spring has finally sprung and summer feels like it has finally arrived, this feels like the perfect opportunity to update our summer wardrobe. And what better way to celebrate than with Remus Uomo, after recently celebrating 25 years at the forefront of British menswear the Spring/Summer collection by Remus Uomo combines innovative technical details mixed with organic and natural fabrics with one of its strongest menswear collections. We have chosen a few of our favourite items to see you through a hopefully long, hot summer. A cotton print shirt inspired by the 1950’s with a Cuban style collar, the more that you wear it the better it will feel. Try wearing with your favourite shorts or open with a simple t-shirt. Originally worn by Tennis players, later adopted on the Polo field the iconic shirt has become a style essential. This stylish version with contrasting collar and cuffs looks great with smart trousers, shorts or denim jeans. Guys can sometimes find dressing for the summer a little tricky, but these chino style shorts are ideal for wearing around the city on a hot day or a weekend away. Garment washed for a worn-in look and a relaxed attitude, wear with a crisp t-shirt and white-low tops. A versatile style of denim jeans that aren’t just for the summer. Made with a modern, slim look these jeans are comfortable, stylish and can be worn with a casual shirt or with a smart jacket for a more dress up look. The bomber jacket hasn’t been restricted to bomber crews for a long time. This jacket has an understated and elegant style that can easily be worn with denim or chino style trousers and crisp white shirt or t-shirt for a chic and understated summer look. 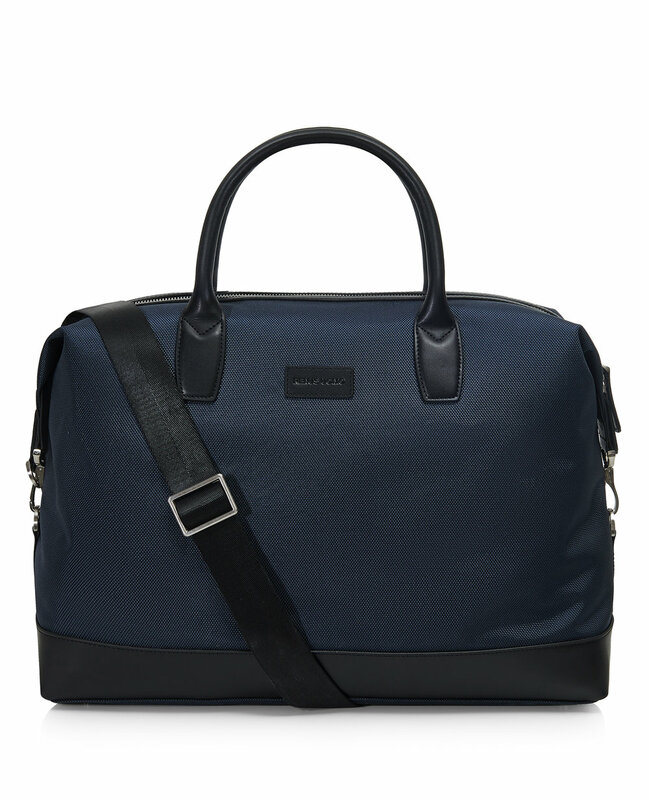 A stylish weekend bag is essential and this bag is perfect for a weekend away. With a rugged and masculine look with black leather handles, a handy shoulder strap and internal pockets for all your gadgets. A great crew neck is perfect on those chillier days and this fine gauge knit will look great worn under a smart jacket and a pair of denim jeans with a honeycomb effect texture for added style. 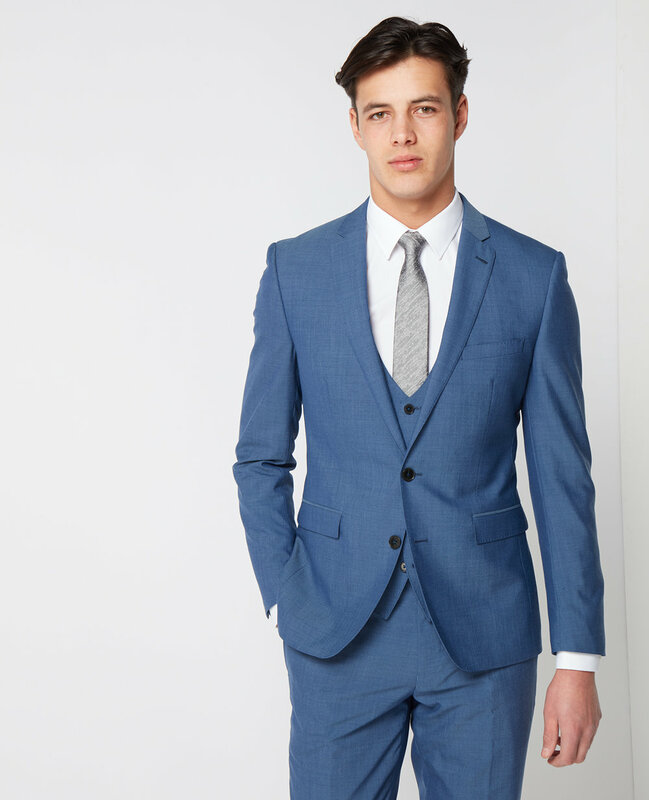 A fresh alternative to navy or grey, this slim fitting, contemporary suit is perfect for the summer months. Can be worn as a three-piece suit to a wedding or a two-piece for the office or summer garden party. A smart tailored jacket is a wardrobe essential, there are many occasions when smart casual is the preferred option. This linen blend in a fresh blue colour with notched lapels can be worn with a crew neck sweater or a simple T-shirt for an understated, clean and contemporary look. 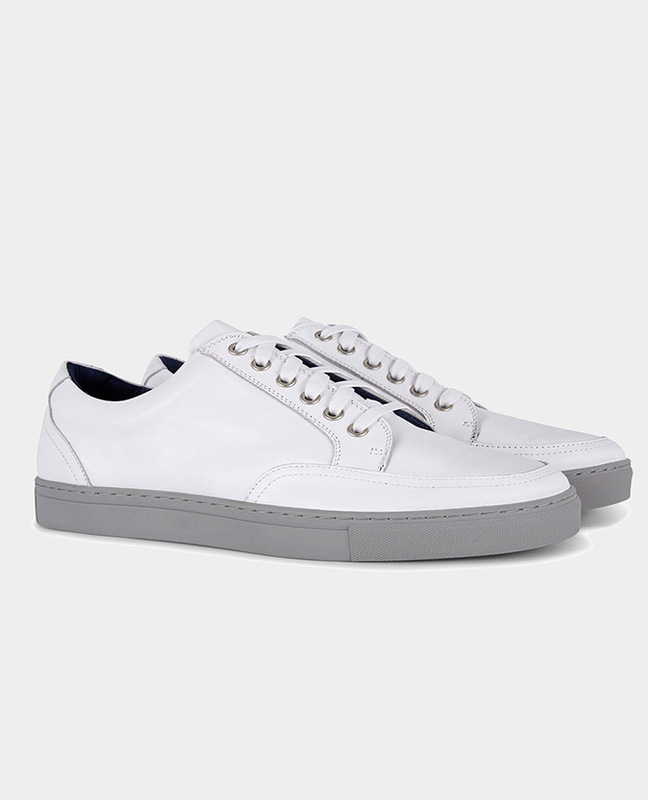 The essential white sneaker has become a style classic, great for the summer. Looks great when worn with your favourite shorts, chino’s or a dark suit for a smart but casual look. This understated also comes in black with a leather sole and sole.